I first watched this in school during a PCS (Personal Cultural Studies) class and I had to try my hardest not to sob in front of my entire class. 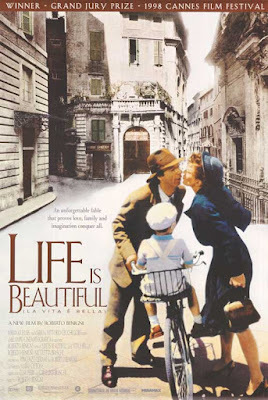 La Vita E Bella is a Italian film which follows the story of Guido, an Jewish Italian book shop keeper who tries to protect his son from the horrors of the concentration camp which they are placed in. It's such a beautiful film and it will make you cry guaranteed but it's definitely one of those films you need to watch at least once in your life. 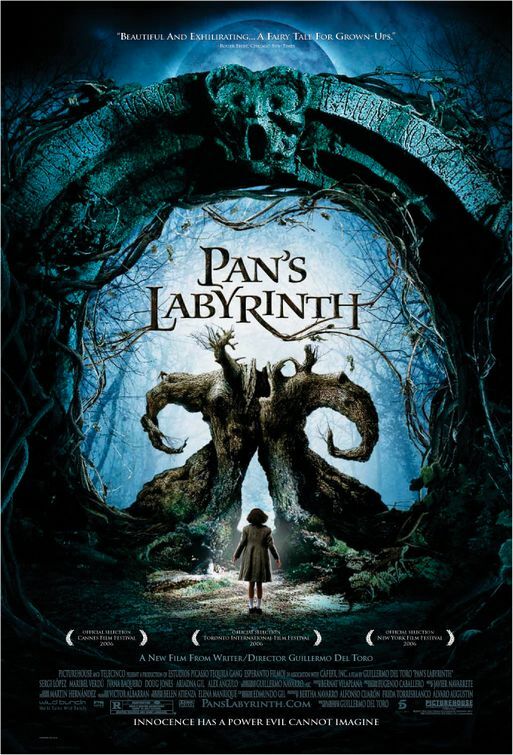 For someone who loves fantasy and fairytales with a dark twist this Spanish film is absolutely perfect. The film is set in Spain five years after the Spanish Civil War, so it's also great for those interested in Spanish history. The main character Ophelia meets a mysterious faun who tells her that she is the Princess of another world and gives her three tasks so that she can return to her real home. The film is pretty gory at times be warned but it is so interesting and the special effects and sets are amazing! This French films is absolutely beautiful and stars one of my favourite actresses, Audrey Tautou. After WW1 Mathilde refuses to believe that her fiancee was executed during the war so sets off trying to find out the truth. The film is so beautiful but you need to pay attention as there are a lot of details that are really important. OK this is one of my favourite films ever! 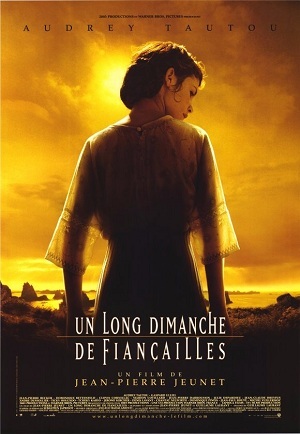 Again it's a French film starring Audrey Tautou and it's absolutely perfect. 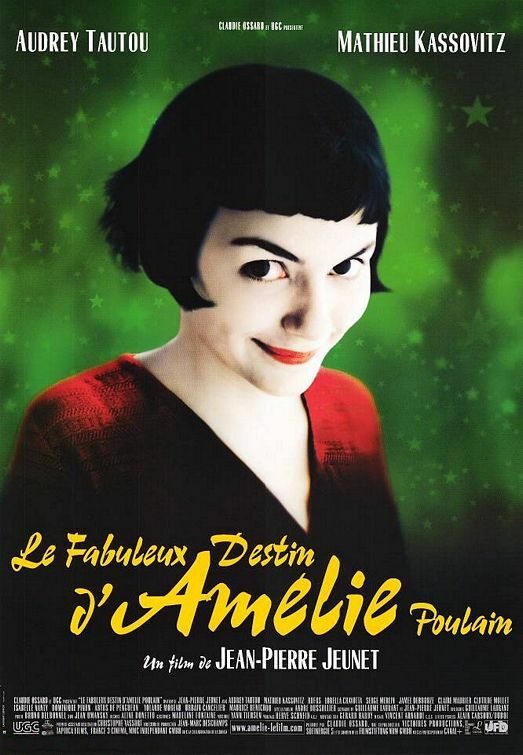 Amélie is a shy introvert who starts spending her time fixing the lives of the people around her. When she falls in love she finds it a lot harder to fix her own life. It's a beautiful romantic comedy but it's not your typical rom-com it's unbelievably clever. The soundtrack is beautiful and it the whole film makes you feel warm and happy inside. Just thinking about it is putting a huge smile on my face. 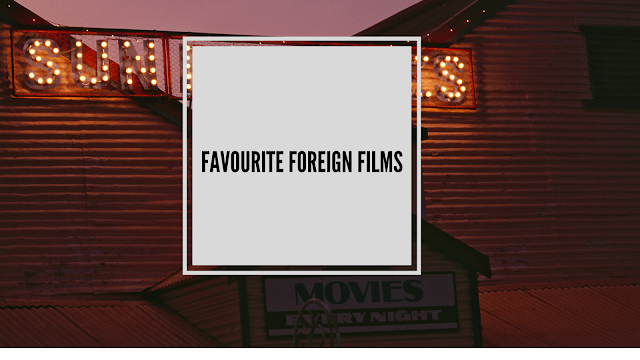 So these are a few of my favourite foreign films I absolutely love, if you haven't seen any of these films I 100% recommend you watch them. I hope you liked this post. Do you like any of these films? What are some of your favourite foreign movies? They are such good films aren't they? Thank you gorgeous! I hope your weekend has been awesome so far! I've seen all of these except the long engagement. I love Audrey Tautou, so should try to check that one out as well. I totally love Life is Beautiful, although, it is really sad, but so so beautiful!! I definitely recommended it, it's so good! It is so beautiful and moving. Thanks for stopping by! Pan's Labyrinth has to be my hands down favorite foreign film thus far, mostly because of costume designs but also just the whole thing. Oddly, I have yet to sit and watch Amelie though I know hundreds of people recommend it and love it. This year I watched Palm Trees in The Snow and it is just beautiful and so, so good. I watched Biutiful again this year and it always tears right at my heart. And Javier Bardem is always perfection. I think Spanish/ South American films always take my breath away. It's such an amazing film isn't it? I definitely recommend Amelie it's a beautiful film you'll love it! Ooo I've never actually heard of those films I'll have to give them a watch. Thanks for popping in! It's such an amazing film isn't it? Oh wow! That's so cool, lucky you! Thanks for stopping by! I absolutely love Godard's movies in French New Wave cinema. Une Femme Est Une Femme & Le Petit Soldat are two of my ultimate favorites. Other then them, an Iranian movie 'A Girl Walks Home Alone At Time' was such an epic one. Have you ever watched bollywood movies? I love those as well. I've never watched that film I'll have to give it a try. I've watched a few Bollywood movies at uni and I really liked them! Thanks for dropping in! I really recommend them they are all such great films! Thank you for stopping by! Great list of movies! I haven't had the chance to check out A Very Long Engagement but I'm definitely going to put it in my queue. I'm a fan of foreign films, but seem to gravitate more towards horror (e.g. The Devil's Backbone, The Orphanage) or Asian action/thrillers. I really recommend A Very Long Engagement it's such a good film. I haven't seen the Devil's Backbone I'll have to give it a go. Thanks for stopping by!